A Chinese state-owned company reportedly hacked former Secretary of State Hillary Clinton’s email server, then inserted code that forwarded them a copy of virtually every email she sent or received after that -- a revelation President Trump is demanding be investigated. The Daily Caller reported that the firm operating in the D.C. area wrote code that was then embedded in the server and generated a “courtesy copy” for almost all her emails -- which was then forwarded to the Chinese company. 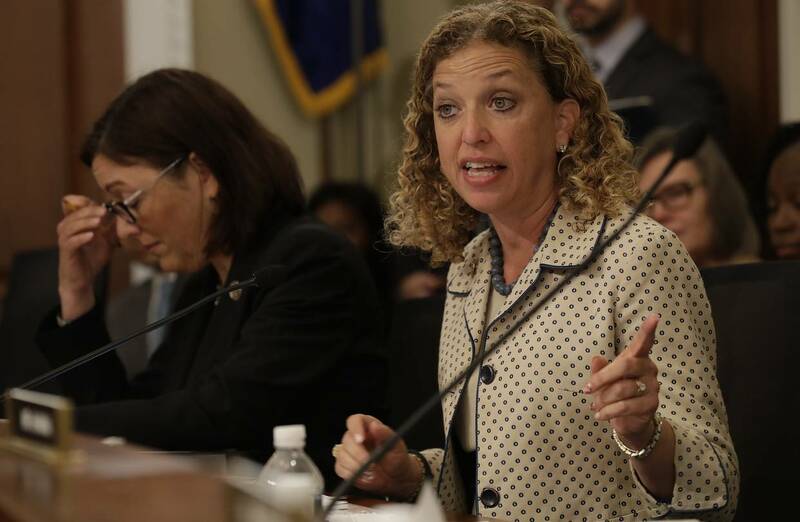 Democratic IT staff who had access to sensitive data stand accused of fraud. Imran Awan was arrested at Dulles International Airport July 24, while attempting to board a flight to Pakistan. For more than a decade the congressional staffer had worked under top House Democrats, and he had just been accused by the FBI of bank fraud. It was a dramatic moment in a saga that started in February, when Capitol Police confirmed an investigation into Mr. Awan and his family on separate accusations of government theft. The details are tantalizing: The family all worked for top Democrats, were paid huge sums, and had access to sensitive congressional data, even while having ties to Pakistan. The media largely has ignored the affair, the ho-hum coverage summed up by a New York Times piece suggesting it may be nothing more than an “overblown Washington story, typical of midsummer.” But even without evidence of espionage or blackmail, this ought to be an enormous scandal. According to an analysis by the Daily Caller’s Luke Rosiak, who has owned this story, the family has collected $5 million since 2003 and “appeared at one time or another on an estimated 80 House Democrats’ payrolls.” Yet Mr. Rosiak interviewed House staffers who claim most of the family were “ghost” employees and didn’t come to work. Only in government does nobody notice when staffers fail to show up. The family was plenty busy elsewhere. A litany of court documents accuse them of bankruptcy fraud, life-insurance fraud, tax fraud and extortion. This is glaringly shady stuff, in no way “typical,” yet nobody noticed. Imran Awan has pleaded not guilty to bank fraud. The law office representing him issued a statement casting the investigation as “part of a frenzy of anti-Muslim bigotry in the literal heart of our democracy.” It calls the accusations “utterly unsupported, outlandish, and slanderous.” Yes, it is weird that Ms. Wasserman Schultz continued to shield Imran Awan to the end. Yes, the amounts of money, and the ties to Pakistan, are strange. Yes, it is alarming that emails show Imran Awan knew Ms. Wasserman Schultz’s iPad password, and that the family might have had wider access to the accounts of lawmakers on the House Intelligence and Foreign Affairs committees. Yet even if this never adds up to a spy thriller, it outranks most of the media’s other obsessions. The government, under the inattentive care of Democrats, may have been bilked for ages by a man the FBI has alleged to be a fraudster. That’s the same government Democrats say is qualified to run your health care, reform your children’s schools, and protect the environment. They should explain this first.